These days, it seems like you can’t even open an article online without hearing the importance of content marketing being mentioned. Hell, I’ll even admit that I’m guilty tossing this particular piece of marketing terminology around all too frequently, as I’ve mentioned it recently on my own site, for articles on my company blog, and in the posts I write for various industry websites. But what is content marketing really, and why can’t anyone online seem to shut up about how important this new strategy is for digital marketers? Using this content to build relationships with your customer base. Without this “high-quality, non-product content,” content marketing couldn’t exist (obviously). Because content marketing is based on the idea that people will be more likely to share good content pieces and form a good opinion of the companies that release these marketing materials, it’s easy to see why mediocre content simply won’t cut it. If you distribute sub-par or average level content, who’s going to take the time to pass these materials on to their friends and family members? Certainly, you’ve read plenty of “bare bones” articles that provide only surface-level knowledge on the subject at hand. How often did you go out of your way to share these content pieces with others? 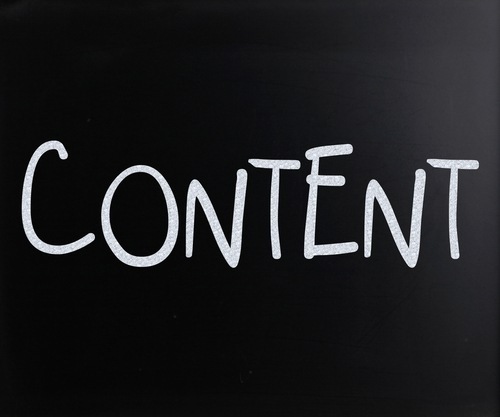 At the same time, content marketing materials must be published free of charge (as in, not released as part of a paid product) in order for the viral nature of content marketing to function effectively. 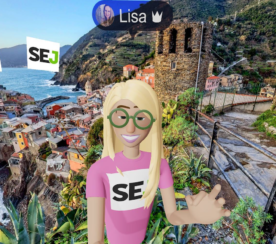 While you can use your content marketing pieces to introduce readers to a sales funnel, releasing them in paid product form creates a significant barrier to person-to-person online sharing. As mentioned above, the distribution of these content pieces helps you to build relationships with your customer base. When you go to the trouble of releasing high-value information products for free, you both expand the reach of your brand’s name (as a result of the viral sharing that often occurs with free, high-value pieces) and improve your customers’ perception of you as a leader within your industry. As such, content marketing is a type of “inbound marketing,” a phrase that’s often used to distinguish new authority-based marketing tactics from their old-school, “outbound marketing” counterparts. Outbound marketing techniques involve (as their name suggests) reaching out to new customers in order to interest them in your brand. In the past, companies utilizing outbound marketing strategies might have called targeted leads, sent direct mail pieces to carefully curated mailing lists, or purchased TV advertising spots during the hours that were most likely to reach their target demographics. And while these methods were and still are, to some extent, successful in forming new customer relationships, inbound marketing techniques like content marketing can bring about the same results for substantially less time and effort. 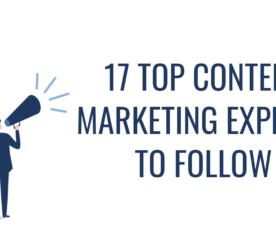 To see just how successful content marketing can be, take a look at any of the case studies out there. In particular, take a look at Mint, a personal finance tool that utilized the distribution of infographics and other content marketing pieces to grow large enough to garner a $170 million buyout offer from Intuit. Or check out the example of Coca Cola, which aims to double its business by the year 2020 through the use of content marketing promotions. But although these examples are exciting, there’s something about all the recent fervor over content marketing that always leaves me cold. After all, if content marketing is all about building exceptional value in order to connect with customers, what makes it so different than, say, the way you should be running a website anyways? In fact, content marketing isn’t new. The principles that make this technique so successful are the same things that have made websites, and, indeed, businesses in general—successful from the earliest days of the Web. It’s not exactly a new market innovation to say that delivering good content will help you to form stronger connections with potential customers. That’s pretty much what every white-hat Web expert has been saying since the dawn of the Internet. But what is new is that content marketing is increasingly becoming one of the only strategies to produce consistently good results in the face of widespread search engine algorithm changes. Sure. Not everyone took these shortcuts. But enough webmasters chose to cut these corners that the search engines have found it necessary to reign in rampant SERPs manipulation with algorithm updates like the recent Panda and Penguin changes. As I doubt we’ve seen the last of these low-quality crackdowns, it’s becoming increasingly obvious that content marketing isn’t just the latest technique to gain favor amongst SEOs. It’s one of the few strategies left that offers both good business results and protection from future search engine changes. If you’re ready to start taking advantage of the power of content marketing, there are plenty of tutorials out there that will give you step-by-step processes to follow in order to launch these campaigns. However, keep in mind that content marketing isn’t some dense, inaccessible piece of marketing mumbo jumbo. Focus on providing your customers with the types of high-value, free content pieces that meet their stated needs, and then test and tweak your results as you go. The benefits you see will be more than worth your efforts!